Arcen Games is very pleased to announce the release of AI War: Fleet Command version 2.0, which marks the culmination of our long-running post-release overhaul. To see just how epic this journey has been, take a look at this: AI War 2.0 vs. 1.0, A Retrospective. The cumulative post-release notes, included near the end, are literally novella-length (46,573 words). That's how much has changed in the since our initial release. You can download a trial version of the game, as well as purchase a license key to unlock the full version. If you already have the game or demo installed, just hit "Check For Updates" inside the game to get the latest patch. AI War Comes To Steam and Direct2Drive! Direct2Drive and Steam join Impulse and GamersGate in offering AI War-- be sure to check them out! The Steam version includes online leaderboards and Steam achievements (other versions are all local-only for those features). If you've previously purchased your copy of AI War from another platform and would like to activate it on Steam to get those features, you will be able to do so in the near future. In celebration of the release of 2.0, AI War is also going to be 25% off at Steam through Oct. 27th -- and look for similar sales at other partners very soon. - New local high scoreboards for everyone, and online high scoreboards through Steam. - 129 Achievements, which can be logged locally and/or through Steam. 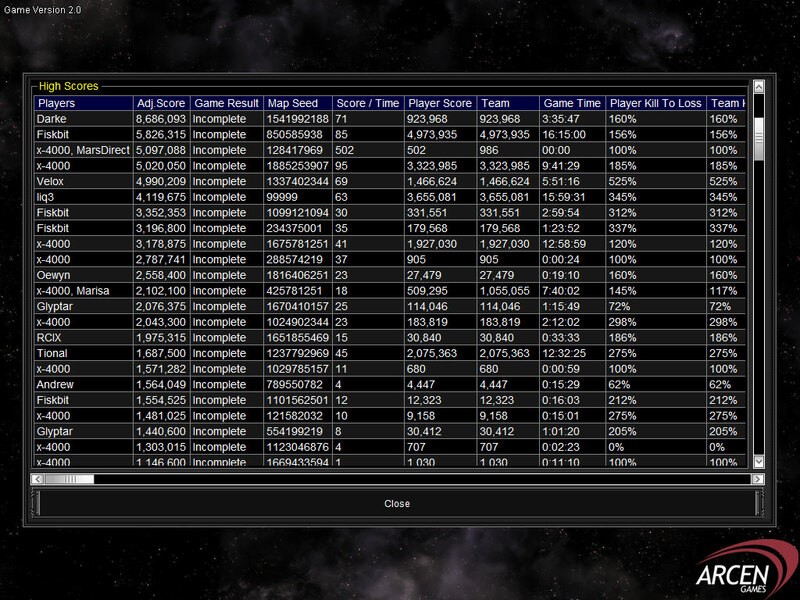 - Player ships can now be assigned preferred target types, which greatly increases tactical control. 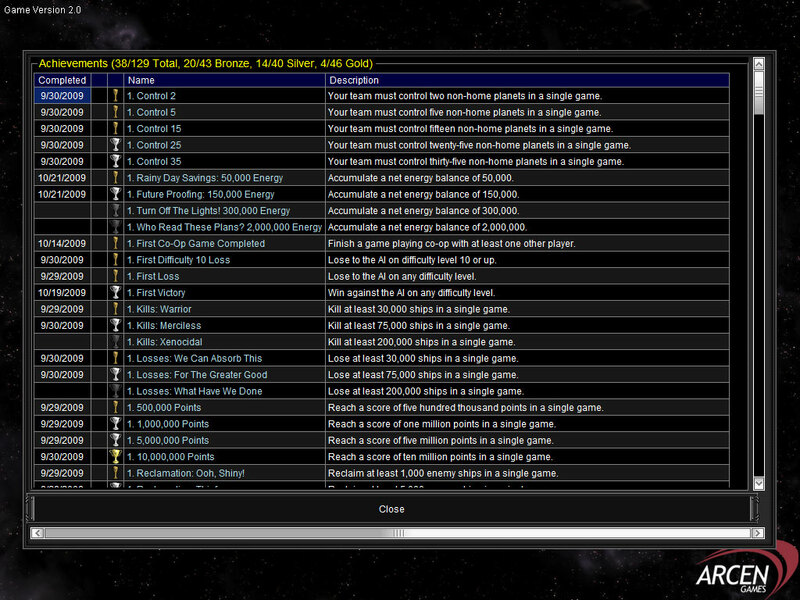 - A number of co-op-related interface improvements: see allied resources, more informative gifting lists, etc. - Several new visual effects: smoke trails and sparking for damaged ships, etc. - Much improved (or entirely replaced) graphics for over 50 different ships. - Ships now accelerate and decelerate when moving, making them much more graceful. - New Collision Priorities make placement of larger/fixed ships in a group of smaller mobile ships much easier. - Players can now select multiple AI Modifiers at once in the lobby. Turrets have been rebalanced and made more distinct and interesting. - Custom planet name lists can now be used for those who don't like the random names. - Many other bugfixes and balance tweaks. The above list is just a sampling of what has changed since 1.301, however, so be sure to check out the full release notes to see everything. And remember, to see everything since 1.0, see this: AI War 2.0 vs. 1.0, A Retrospective. Then unzip it into your game folder (usually C:\Program Files\Arcen Games\AI War\ unless you specified something else). Please make sure that your unzip process keeps the folder structure from the zip file, rather than just unpacking all of the files into the base target directory. This is a cumulative update, so as long as you have at least version 1.000 of the game installed, this will update you to the latest version (2.000) without any issues. This update now available for Impulse customers. For existing GamersGate customers, you can always upgrade your copy from the "Check For Updates" link in the game just like customers from our direct site can. The latest version of the installer will also be coming to GamersGate, but that will affect new customers only.